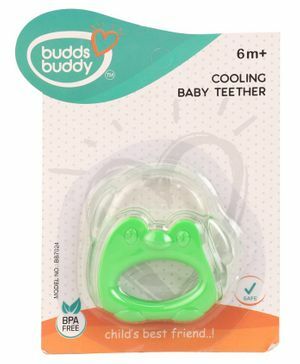 Budsbuddy cooling teether is designed to ease the pain during teething period. This teether gives your baby a soft chewy surface that allows your baby to bite and alleviate the pain during teeth eruption phase. The teether cools and refreshes your baby's gums and mouth.